Special Offer. Buy 6 Bottles for £35.00 each. Save £15.00 !! 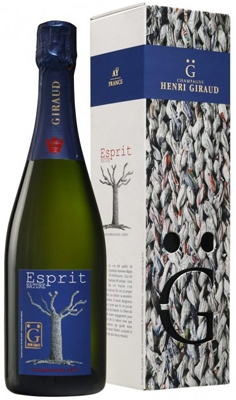 A totally new wine to the range replacing Esprit Brut. 80% Pinot Noir and 20% Chardonnay. With 50% reserve wines matured in small casks made of oak from the forest of Argonne and in ovoid (egg-shaped) vats. At the crossroads of the generations, Champagne Henri Giraud has decided to embark upon a ‘Revolution’ to remain true to itself. Our new cuvees express respect for the terroir as a living entity, and embody Champagne Henri Giraud’s own vision of natural wine which is neither a concept void of meaning nor a return to the past, but a pure affirmation of our identity. Thirty years of painstaking work to re-think the fundamentals of Champagne and develop our knowledge of the Argonne forest have strengthened our convictions: Wine of Excellence can only emanate from low yields, small recipients and noble raw materials. We are therefore definitively renouncing the use of stainless steel vats for fermenting our grapes in favour of Argonne oak barrels and terra cotta. Champagne Henri Giraud is not certified organic, but we have trialled winemaking with certain “partner” vineyards and obtained Ecocert certification this year (vines certified for 3 years). For us it’s clear that the organic label does not qualify a wine but rather the choice of type of pest control in the vines. In itself it does not guarantee the level of quality that we wish to obtain in our grapes. And as for the restrictions applicable to winemaking, we are already well below prescribed levels, which have no impact on either the quality or the personality of a wine. We do not use the term natural wine for our wines. It is a definition which has no legal existence. But at this stage of the debate we would like to offer our view of what a natural wine is. For us it is a commitment to which our estate is fully pledged. 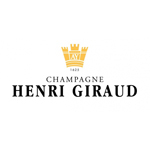 The Champagne Henri Giraud motto is “Let nothing be banned and nothing be obligatory – just make good wine naturally”, with ‘naturally’ here used in the sense of ‘by nature’. Wine has been an integral part of the human adventure since ancient times. It is a specifically Human construct which, over and above a simple concentration and conservation of energy, is destined to nurture the intellect and encourage social construction. To be Human is to be Unique. To produce naturally is to dedicate all one’s experience, all one’s achievements, culture, sensitivity and passion to wine… a passion that is nothing less than the culmination of individual experience. That is equally true, of course, for Vinifera, a pure product of Humanity. Others have said that wine should possess “the head of its terroir and the guts of its maker” … terroir here being a living place. It is a mistake to suggest that natural wine can be the result of pure chance. On the contrary, it is a deliberate choice of freedom, of curiosity, of innovation and endeavour to obtain the ‘best possible result’. That choice demands the deepest personal implication and adhesion to the most positive and universal human principles and values. Connected both to the ideal of perfection and to material constraints, Esprit Nature forms the perfect synthesis. It is the union of creative liberty, the liberty of choice, of vision and of permanent challenge… in short, the Human Adventure. Regularly noted over 90 Points, Esprit Nature is gaining a name for itself. Now proudly carrying our colours it incarnates our vision of natural wine; an integral part of the human adventure with pleasure as its guiding principle. It definitively turns its back on winemaking in stainless steel vats. « Le chêne de papier » (the paper oak) by the artist Claudine Divry symbolises the fragility of life and man’s capacity to renew it. Like the woven sheets of newspaper from which it has been created, it carries our message of the regeneration of Champagne. Drawing on the origin of all things, it says: there is no great wine without a great forest. The forest of Argonne forms part of Champagne’s DNA. Suffused with a superb mineral bitterness, it marks its arrival amongst the great wines of Champagne, with its incomparable fruit offering an invitation to shared pleasure. Argonne and in ovoid vats. Contemporaries of Henri IV and his descendants, the Hémart family settled permanently in Aÿ at the beginning of the 17th century. Their history took root there and became closely interwoven with the momentous historical events relating to Champagne from the 18th century onwards. At the opening of the 20th century, Léon Giraud married Miss Hémart and reconstructed the magnificent family vineyard, which had been ravaged by phylloxera. Today, Claude Giraud, the 12th generation of the Giraud-Hémart family, is in charge of the fortunes of the family business. The Giraud-Hémart family own 20 hectares - 35 parcels of Grand Cru land of which 26 is planted with Pinot Noir and 9 with Chardonnay. Only 17 of the Champagne region’s 323 Crus are classed as Grand Crus (rated 100%). The wine production of Giraud estate is environmentally-friendly, subscribing to the ‘lutte-raisonnée’ (limited intervention grape growing). The overall production is limited to 250 000 bottles a year, making the Giraud Champagne stand apart from the majority of bulk-producing champagne houses. The Giraud house is one of the few houses (Krug is another example) that conduct primary fermentations in oak. Henri Giraud pride themselves on sourcing wood for its barrels from the slow growing, tight grained, high quality trees of the ancient forest of Argonne, lying just 35 miles from the estate. Described by leading wine critic Robert Parker as “the finest Champagne house virtually no one has ever heard of”. The reason for this is that until the 1990s their wines were only sold directly to discerning, well-informed private customer in France and Italy.